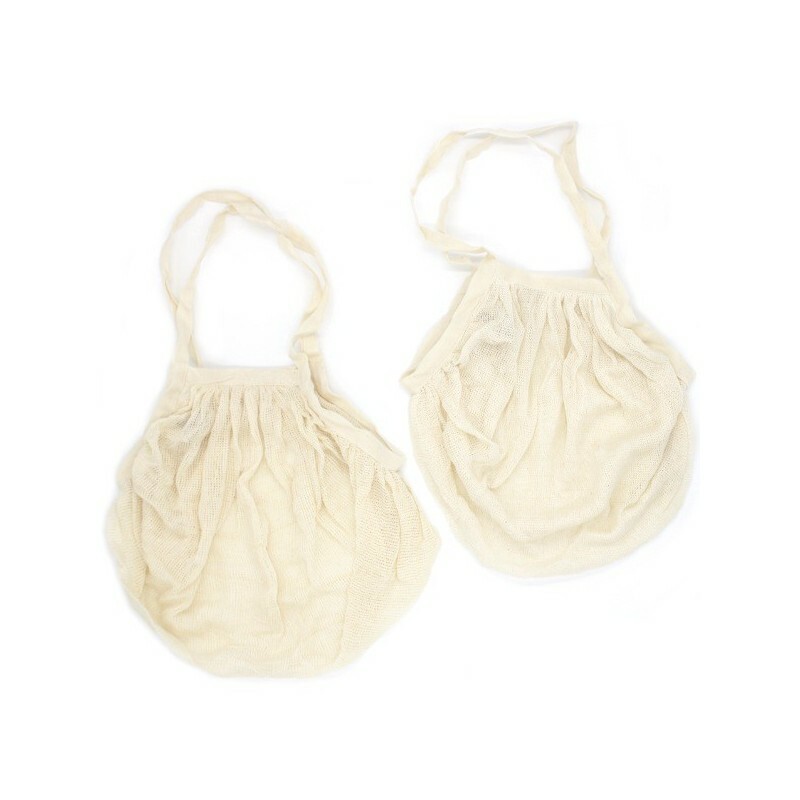 Two lightweight mesh (see through) produce bags made from stretch weave certified organic cotton with handles (just like mini string shopping bags). 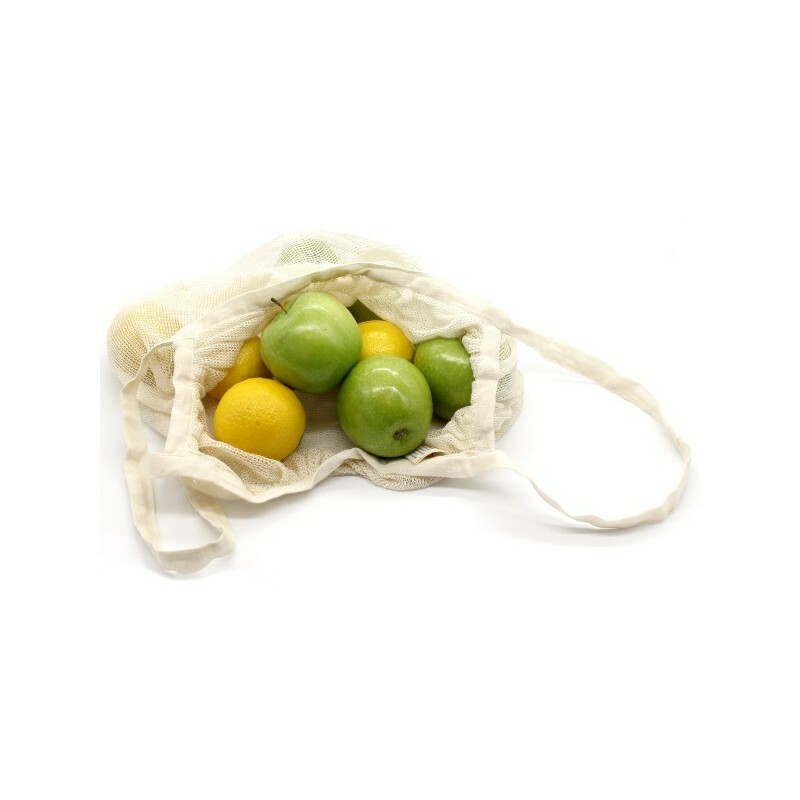 Perfect for collecting fruit, vegetables, nuts and bulk goods instead of using plastic bags. Holds up to 2.5kg per bag*. Ethically made in India. Two bags of 25cm x 30cm. 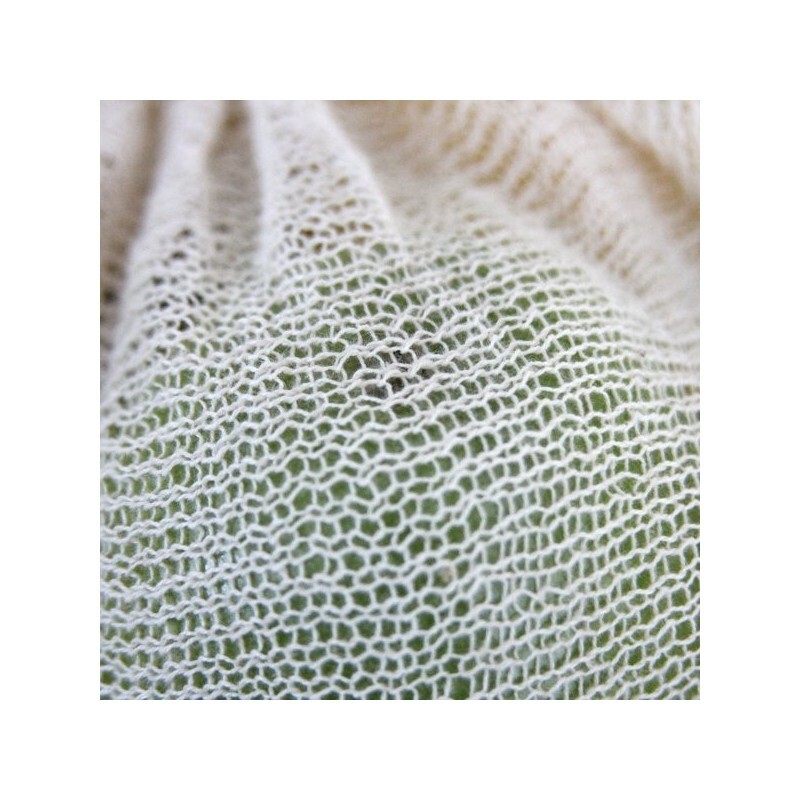 The Keeper is a small company dedicated to creating ethically sourced products that will last and become a part of your sustainable, healthy life. Packaging is made from 100% organic recycled cotton fabric. Wood free. Holds up to 2.5kg of produce, ideal for 2 - 3 pieces of produce. *Not suitable for produce with rough-edges. At the end of the bags usable life, they can be chopped up into small pieces and added to a working compost. 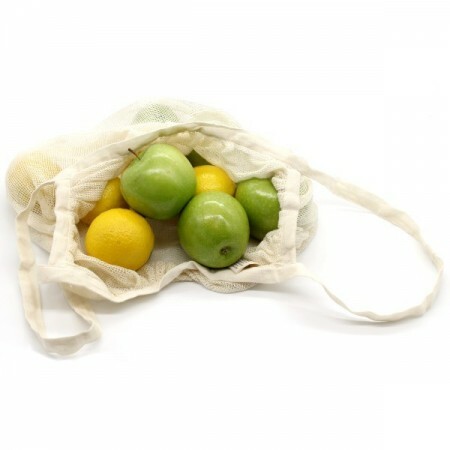 Browse our range of reusable produce bags. Great produce bag - with handles! These are the perfect size for grocery shopping. They are stretchable and can hold quite a bit of produce. They're so lightweight and portable, they fit right into your handbag without taking up any space. It's a great way to stop using plastic bags. They're also great for travelling - just be sure not to put sharp objects in the bag.